INDUSTRY.co.id - South Korea - Since its release in 2016, the video clip of Russian Roulette, Red Velvet has finally reached 100 million viewers on YouTube. Quoted from soompi on Saturday (27/1/2018), the music video for "Russian Roulette" finally reached 100 million views on YouTube, and this made it a video clip of SM Entertainment dropout, won by Red Velvet for the first time. On the next press, they will launch the re-packed version of "The Perfect RedVelvet". The album consists of 12 songs, including nine tracks from the mini album "Perfect Velvet" which both have been present to the music lovers of K-pop in November 2017 and ranked 1st on the Billboard music charts for the World Albums category. 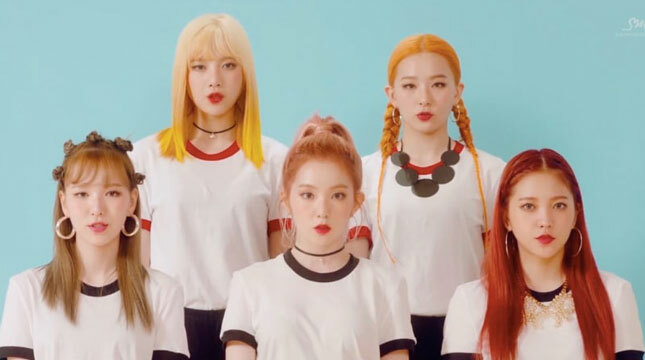 Red Velvet's latest album also features three new songs, including the main song "Bad Boy," a hip-pop R & B song that revolves around lovers in their early days. Since its debut in August 2014. They have released a number of hit songs such as "Red Flavor," "Rookie" and, most recently, "Peek-A-Boo."